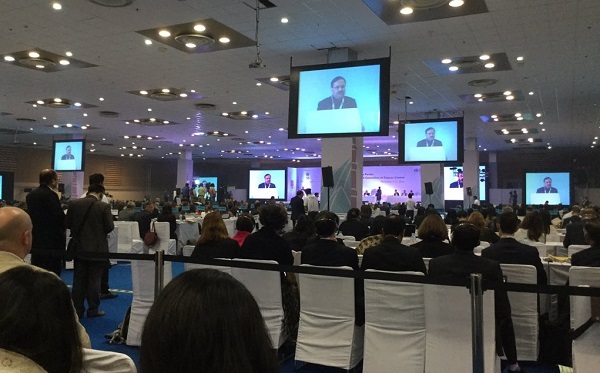 Today, I’m at the 7th Conference of the Parties to the World Health Organisation’s Framework Convention on Tobacco Control in New Delhi, India. I’m here as part of a Tobacco Harm Reduction Expert Group with Dr Konstantinos Farsalinos (Greece), Prof Riccardo Polosa (Italy), Dr Rajesh Sharan (India) and Julian Morris (USA). Today, our group released to media a mission statement and press statement that calls on the Parties to the WHO FCTC to take the opportunity now to improve radically the life expectancy of today’s smokers by applying the principle of harm reduction that is already one of the core principles of WHO’s tobacco control strategy. We encourage the Parties to support policies that encourage smokers, who are unable or unwilling to quit using nicotine, to switch completely to using less harmful substitutes, such as electronic cigarettes. We caution the Parties that adoption of policies that discourage or delay smokers from switching to less harmful substitutes will likely, in effect, sustain tobacco smoking and perpetuate the harms of smoking to the individual and wider society. The mission statement and press release are in the link below. Please share these documents with media in your country and with any person or organisation with an interest in tobacco control strategy and tobacco harm reduction. 1. Tobacco Harm Reduction Expert Group Mission Statement. 2. Tobacco Harm Reduction Expert Group Press Release.